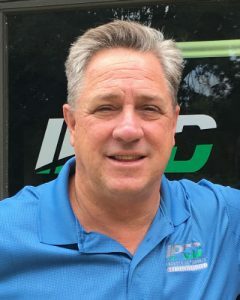 Meet Our Staff - IPCD-Inc.
Bill attended the University of Colorado and entered the PT industry with one of the nation’s leading manufactures in 1983. Bill eventually joined a regional North Carolina distributor focusing on OEM sales before starting a highly successful conveyor pulley manufacturer in Albemarle, NC. The company was sold in 2008 where Bill served as Vice President of the new division until January 2016. Mr. Harvey acquired Industrial Products Power Transmission on July 1, 2016. 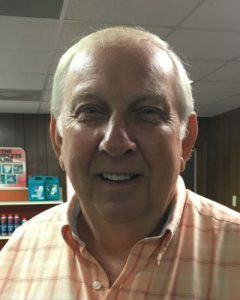 Mr. Harvey enjoys several hobbies; guitar playing, woodworking, water sports, car racing, motorcycling and travel are among a few of his favorites. Vance attended Western Carolina and University of North Carolina-Charlotte and worked in the family printing business for several years after school. Vance started in the PT business with IPPT 1997, where he learned the business operation from the inside out. Vance has earned his position as our General Manager through all these years of operations excellence. Vance’s Forte’ is in mechanical drive design, but he is involved in many other facets of the daily operations. Vance enjoys spending time with his family, his grandchildren and his fellow church members. His hobbies are volleyball, softball, and mechanical gadget creation in his spare time. Sandy started with Industrial Products in 1987 and has been involved with the internal operations of the company since she started. 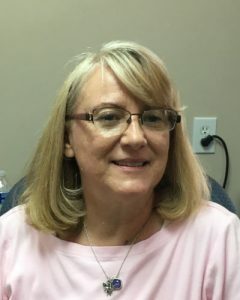 Sandy has been in Human Resources, Accounts Receivable, Accounts Payable, Inventory and Inside Sales and has been a direct report to each of the company owners. Sandy enjoys spending time at the beach, at the lake, around the pool and spends as much time with her family as possible. 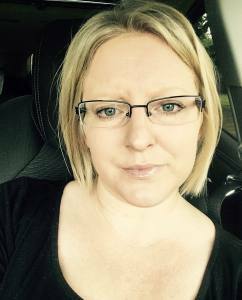 Becky started with Industrial Products in 2012 and plays an important role in the organization. Becky is the “Voice of the Company” and is the first one to greet our customers on the phones. Her assistance and additional production in office administration and data flow are extremely important to the company. Becky enjoys her spare time with her pets, gardening and walking. Becky is also a proud parent of a United States Naval officer. 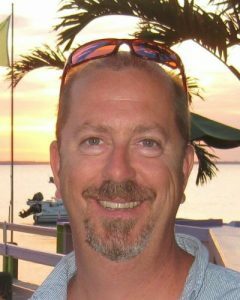 John joined Industrial Products in 2014 and has handled all the inventory, shipping and receiving responsibilities in the company. Mr. Tyson enjoys his spare time with family and grandchildren. Aaron joined the company in 2012 and has worked in every aspect of the company. His strength is in communication and servicing the customer with his deep knowledge in the industrial supply industry. In his spare time Aaron enjoys volleyball, tree cutting, dog breeding and plays an active role in his church. Chance attended Rowan Community College in Salisbury, NC and entered the industry as a warehouse and delivery person in 1992 before he was promoted into sales one year later. Chance was ultimately given the responsibility of running a successful distribution branch in San Antonio Texas. 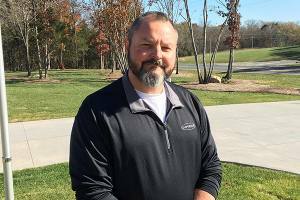 Mr. Kluttz ultimately moved back to North Carolina and accepted a managing position with a North Carolina conveyor pulley manufacturer. Chance joined IPCD in August of 2016 and is now handling a book of accounts serving the local industry. Chance is a dog lover, a music lover and he enjoys camping, hiking, disc golf, and kayaking. Dan started with Industrial Products in June of 1987 in the warehouse. He moved into shipping, became the delivery man, worked counter sales inside sales and was promoted to outside sales in 1989. Dan Phillips became President and Co-Owner in 2002. Dan’s forte’ in the business is material handling and conveyors. Dan’s favorite hobbies are fishing, hunting and nearly every outdoor activity. 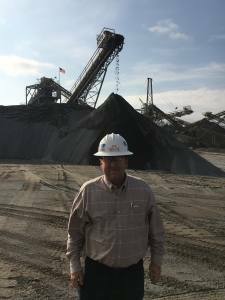 Sheldon has been in the mechanical power transmission industry from childhood when he was climbing conveyors and taking measurements for his father’s company. 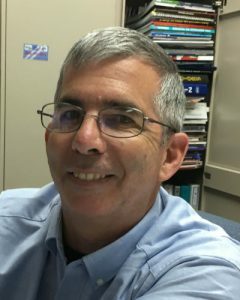 He attended Glenville State College and Marshall University and obtained his BS in Business and Computer Science. 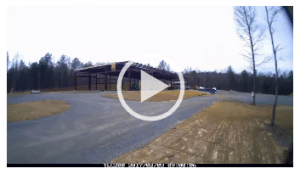 He then took over the family business before leaving those West Virginia hills and arrived in North Carolina to join the IPCD family. Sheldon loves drive design and is familiar with bearings, mechanical and fluid power, and mill supplies. Sheldon enjoys shooting sports, hunting, fishing, and hockey. David Bernard Cial has over 30 years in the parts and service industry. Getting his introduction into industrial parts at a young age from his father Benjamin who was a MRO person for Dupont in Cleveland, Ohio. David often had access to most type of PT components to feed his mechanical interest. While other kids played ball, David was building go karts, repairing tractors, and creating industrial “steampunk” metal sculptures before it was trendy. “I have always been a gearhead”. David has a B/A from the University of Akron and has worked in radio and TV. “I always go back to getting my hands dirty. I like, mechanical things.” David has recently moved to NC with his wife Mary from Ohio. In his spare time he enjoys working on vintage aircraft and military vehicles, playing guitar, and teaching Chinese Martial Arts. Paul has been meeting customer’s needs since grade school when he began helping his parents operate two motels they owned in Southern Michigan. In 2005 he took a position as Plant Manager of a tooling facility in Northern Indiana. 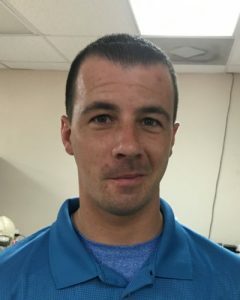 Over the years, through his tooling career, Paul has had the privilege of meeting needs in a variety of industries and is excited about the future of IPCD and its customers. When away from work, he enjoys time with his family as they hike, camp, canoe and kayak the great state of North Carolina. Paul is also active in his church. Kelly attended Western Carolina University and graduated in 1983. He has a wonderful wife Romona, three children, and one grandchild. 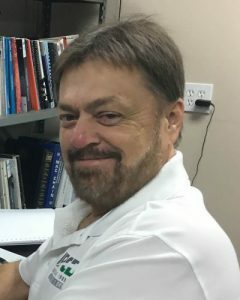 Kelly has been in the conveying, PT & bearings business for 25+ years and had worked with Bill Harvey and Chance Kluttz for several years in his earlier career at a well know conveyor pulley manufacturer in North Carolina. Kelly and Romona each enjoy traveling, hiking, spending time with family. Krystin joined IPCD in December of 2017, shortly after she married her husband, Justin, in September. 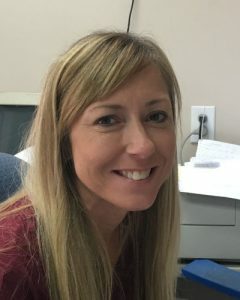 Krystin has worked in the manufacturing and warehouse industry with years of customer service experience as she helps our customers and assists in the warehouse and logistics department here at IPCD. 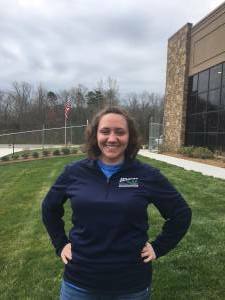 She is very active in her church, and in her spare time enjoys reading, musical instruments, and spending time with her friends and family. Abbey brings the company 12 years of customer service experience to IPCD, having handled many important tasks within her prior employment, each of them dealing with customers as well as internal operations of the business. Abbey’s primary responsibility at IPCD is to serve as a well-rounded backup to each of the staff members; purchasing, payroll, expediting, shipping and sales. Her experience is most appreciated! Abbey and her husband Jason enjoy spending time with the family and their two dogs; Bella and Harper! Abbey’s true love and “Happy Place” is on the North Carolina Beach! Scott Bailey has been married to his wife Renee for 26 years and they have two wonderful children. 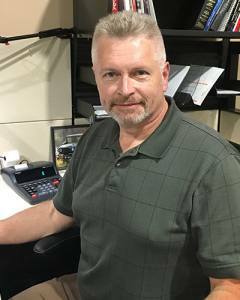 Scott has been in the conveyor manufacturing industry for 22 years working for Bill Harvey and he brings a wealth of experience to IPCD. Scott enjoys spending time with his family and riding his Harley Davidson. 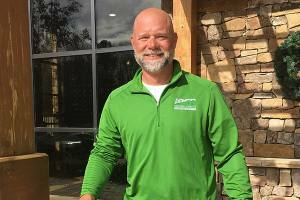 Ricky Jay Cooper graduated from Pfeiffer University in 1999 and began his career as a golf teaching professional. After several years, he then entered the aggregate industry working with one of the largest producers in the business. 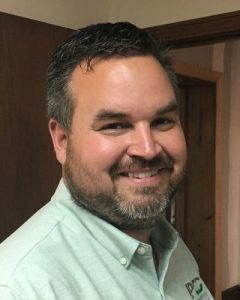 With 14 years of aggregate experience and technical processing knowledge under his belt, Ricky Jay joined the IPCD Team. Ricky Jay is “hands on” with many of the products we sell and will be involved with installs as well as technical advice. 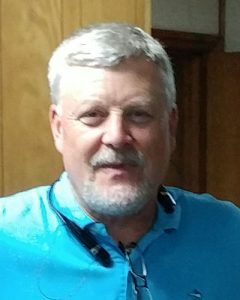 Ricky Jay is married, has 3 wonderful children, enjoys fresh and saltwater fishing, teaching and coaching baseball, and spending time at the coast with his family. He also serves as assistant Sunday School Superintendent at his church.